The lesson today comes from a letter Paul wrote to the Christian Church in Corinth. The purpose of the letter was to encourage the Church in Corinth to be more charitable towards the mother church in Jerusalem. Initially, the Corinthians gave generously but soon their enthusiasm waned until it dried up completely. They stopped giving. The Church in Corinth was prosperous, but they did not share the wealth. On the other hand, the Church of Macedonia was impoverished but ironically, they gave generously of what they did have. Paul—in his letter—used the example of the Church in Macedonia to shame the Corinthians and hopefully—by doing so—inspire them to be more generous. What is interesting about the Corinthians is that they excelled in all other areas of the Christian life! The reason that giving is such an important part of our Christian lives is that GIVING exemplifies CHARITY, and CHARITY is synonymous with LOVE. 1 Corinthians 13:13 in the KJV says, And now abideth faith, hope, charity, these three; but the greatest of these is charity but the NIV translates the Greek word for CHARITY as LOVE. So, if CHARITY means GIVING, and LOVE and CHARITY are synonymous and we know that GOD is LOVE, we can begin to understand the significance of GIVING. John 3:16 says tells us that, God so loved the world that He gave His only begotten son so that whosoever believes in him should not perish but have an everlasting life. God GAVE us His son JESUS CHRIST to die for our sins. That’s an incredible amount of LOVE/CHARITY. Which one of us would surrender a child to die for someone else’s wrongs? God’s son JESUS CHRIST LOVED us so much that He GAVE His life for us. John 15:13 (KJV) tells us that Greater love has no man than this: to lay down his life for his fellow man. Which one of us would GIVE up his life for someone else’s wrong? That too takes an incredible amount of LOVE/CHARITY. If JESUS exemplifies LOVE and LOVE is GIVING, then it becomes obvious to us why GIVING should be so important to us as CHRIST-ians, for to be a CHRIST-ian means to be like CHRIST or to belong to CHRIST. To be like CHRIST means to be GIVING or CHARITABLE. When I see and hear these people go off, I often wonder if there are two Christianities. Many of them profess to be Christians. However, the Christianity that I know and follow emphasizes CHARITABLE EQUITY for ALL! I don’t know WHAT the tenants of that OTHER “Christianity” are. Those programs exemplify precisely what Paul was emphasizing to the Corinthians, which is, how those with much should assist those with little. In the INTRODUCTION to today’s lesson, the author introduced us to a lady who was born in the segregated South during the time of “JIM CROW”, named Gemenie Bowdre. Her pursuit of an education took her to the 8th grade, in the black public school, which was the highest grade attainable at that school. She then went to a black “private” high school. After graduating from that school, she began her teaching career right there in Hernando MS., in one of the one-roomed schoolhouses prevalent in the rural black communities of the 30’s and 40’s. She could have taken her education to the North or West, where life for blacks was easier and more profitable, but she chose to GIVE her life in dedicated service to the poor children of Mississippi; teaching in that one-roomed school house with its coal heater and black painted wall/blackboard. YOU CALL THAT CHARITABLE EQUITY? The Chairman of our Deacon Board is a spry little 86-year-old man. He once told me—during a discussion we were having one Sunday while waiting for the other Sunday Schoolers to arrive—that he had attended the old Mitchell Grove Baptist Church School until 3rd grade; after which, he transferred to the “Colored School” in town. The little schoolhouse which had provided the educational springboard for Deacon and so many others during its heyday is now falling into ruin. It’s really a tragedy watching it slowly deteriorate. 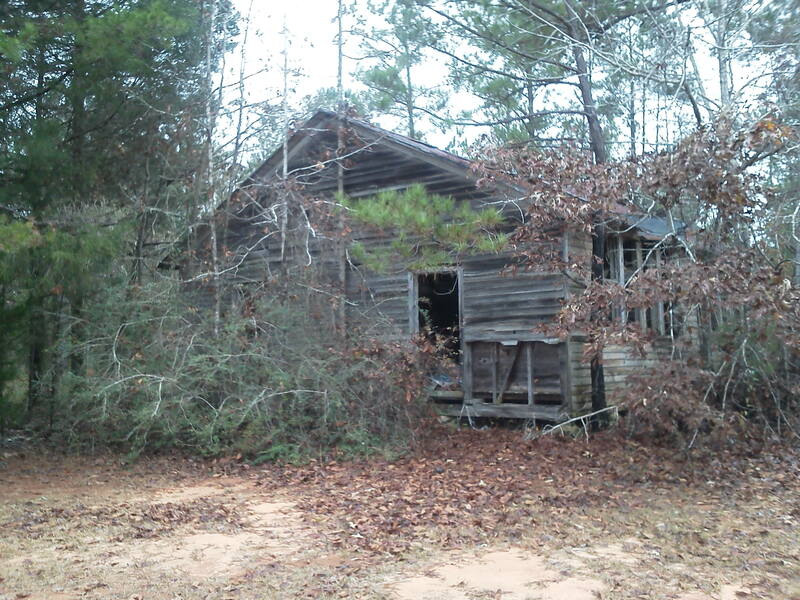 It is one of the very last of its kind; a piece of rural education history which may soon be lost forever. Our church, like Macedonia, is poor. We lack the funds to restore this piece of history. Several people have expressed an interest in organizing an effort to raise funds for the restoration of this school, but, like the Corinthians, they start out strong, but fizzle as the road to restoration becomes difficult and littered with obstacles. I once asked our current State Representative, Gerald Greene, if there was anything he could do for us. I had known him to “find” funds for other historical projects. However, according to Mr. Greene, there was no money to be “found” for a project such as ours. He stated that, if it had an intact roof on it, then maybe…. but without a good roof, there just was no way. Of course, this was very sad news for our congregation. Now, I ask you Mr. Greene, IS THAT CHARITABLE FOR ALL? Now, Mr. Greene is up for re-election this November. He’s running against a lady named Joyce Barlow. Maybe Ms. Barlow can FIND some money for this project! I hope some funding can be found.